It has secured a 20-year lease on the site. Construction is to start at the end of 2019 and the depot is expected to open in early 2022, creating up to 1,200 jobs. 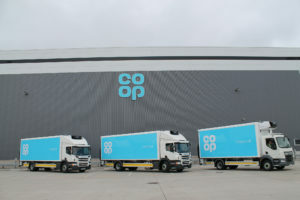 Co-op supply chain and logistics director Andy Perry said: “The new site will form part of an integrated review and rebalancing of volumes across our network – it will provide greater scale while future-proofing our operations. The move will reduce road miles, overall supply chain costs and supports our stores in the south by having more of our products closer to our members and customers and the communities in which they live and work. The new distribution centre will be developed with the goal of reducing environmental impact and work towards a BREEAM Excellent rating. It will feature low energy lighting and refrigeration, and the ability to harvest rainwater.